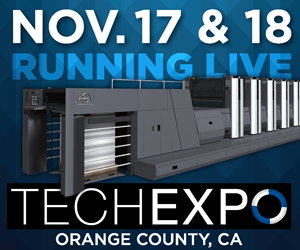 See live demonstrations of the RMGT 9 Series offset press with LED-UV Technology and SMART RPC Pl﻿ate ﻿Changing﻿ Technology. Bryton Printing, Anaheim, California is hosting an Open House on Thursday, June 28th, 2018 from 4:30 - 6:00pm. 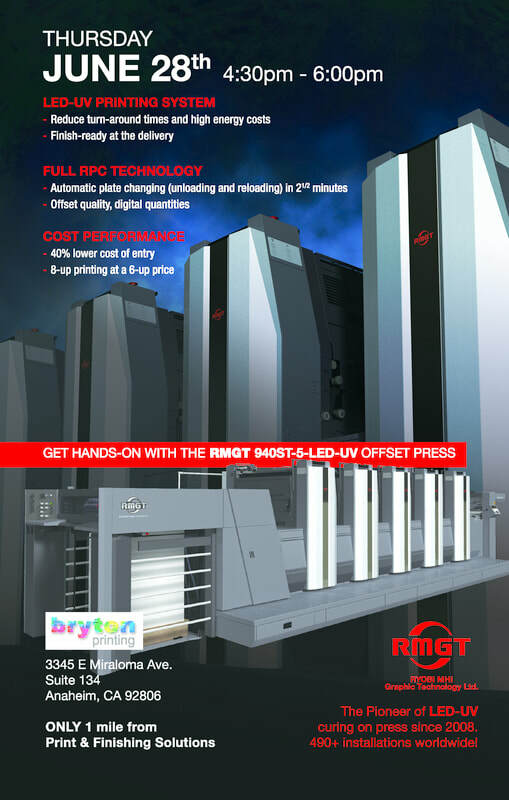 ​See the newly installed RMGT 940ST-5-LED-UV Offset Press. For details call ​(800) 398-5283.